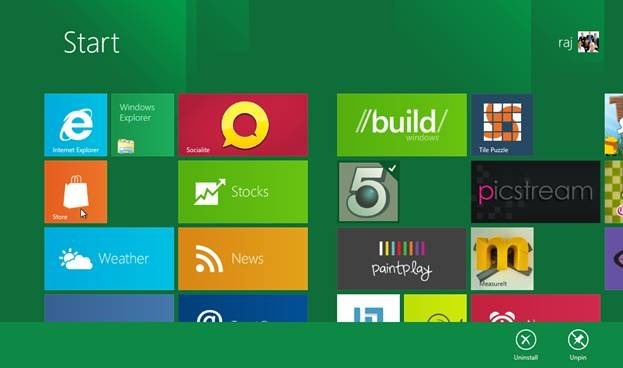 Here is how to customize Windows 8 desktop screen to suit your needs. You can move tiles from one group to another, create a new group of tiles, pin new tiles to the start screen or unpin/uninstall tiles from the start screen. Moving tiles from one group to another is the simplest customization that you can do. To move a tile to a particular group, just drag it with your mouse and drop it to the target group. In screen touch environment, you can perform the same operation by tapping your finger on the tile and dragging it to the desired group. To create a new group of tiles, drag a tile and drop it to the area between two existing groups of tiles. This will create a new group of tiles with a single tile in it. You can then add more tiles to this group by dragging and dropping tiles. In the attached snapshot, you can see that i have created a new group of tiles with zero gravity, control panel, remote desktop etc. tiles in it. Let’s say you want to pin a new tile to “wordpad” to the start screen. 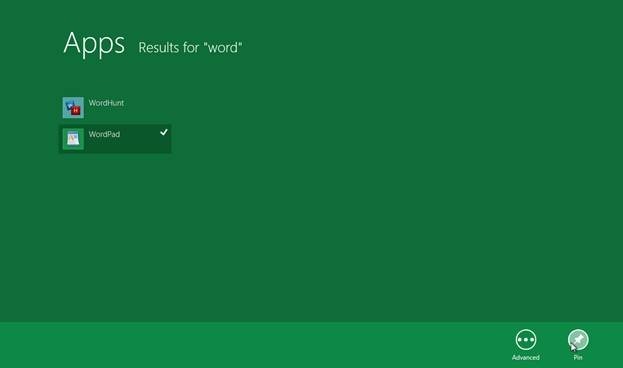 First, search for the wordpad app using apps search. Right click the wordpad from the searched items list. An option for pinning wordpad tile will be displayed at the bottom of the screen. To unpin/uninstall a tile, right-click on it. Options for unpinning or uninstalling will be displayed at the bottom of the screen. Unpinning a tile will remove it from the start screen but you can get it back later if you want. Uninstalling will completely remove the tile and corresponding application from your system. Also check out Windows 8 Wallpapers reviewed by us. 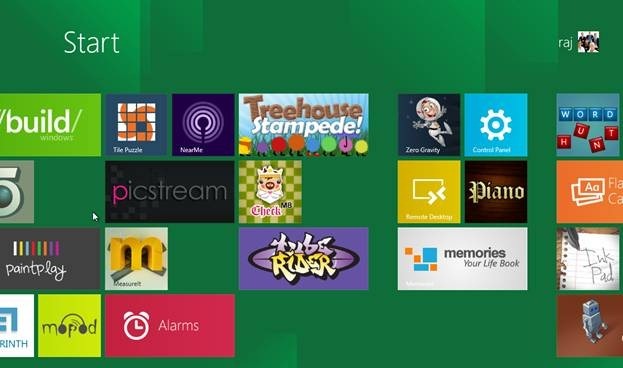 Go ahead and try to customize Windows 8 screen.